It is always so fun to get finished pictures from clients. 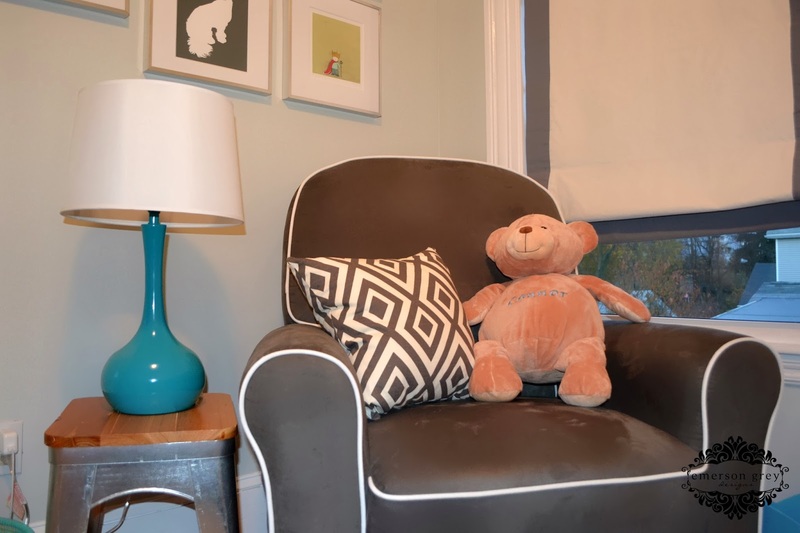 This weekend I got the best surprise with an inbox full of great photos of this “Wild Things” room. The room we were working with wasn’t the largest, but I love that when you use the right pieces and colors, any room can feel larger than it is. The best part of E-design is that it is a guide so that clients feel confident in the choices they make for their space. I always love seeing how they interpreted the design and how they make it their own. I’m a huge fan of the simple window coverings, as drapes would have just added weight to the space and actually taken up floor space. The grey edges keep the shades from being too simple though; it’s all about the balance. 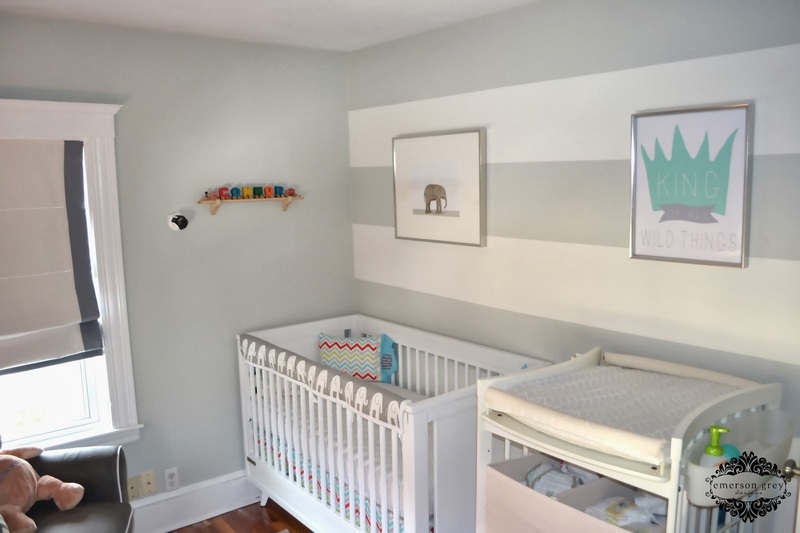 If you’ve followed my site for a while, you know I just adore The Animal Print Shop and I just knew one of the adorable animal photographs would be just the right touch above the crib. 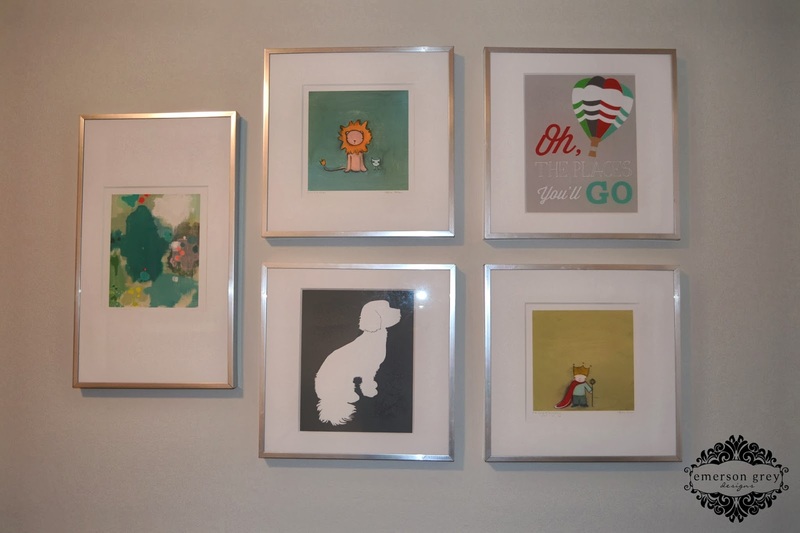 This photo gallery wall is one of my favorites. I love the rich, jewel tones against the light grey walls. And even more adorable is the custom art silhouette of my client’s dog. 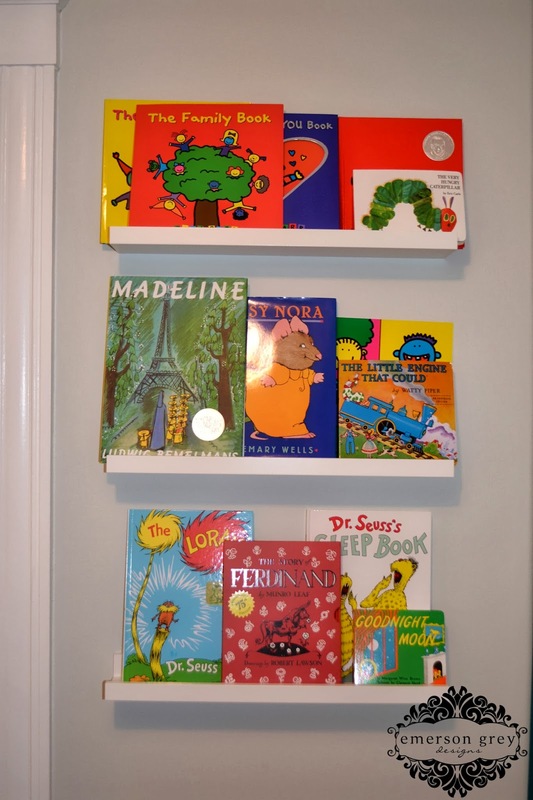 We wanted to utilize every bit of this room and this small wall was just perfect for something like a book wall. 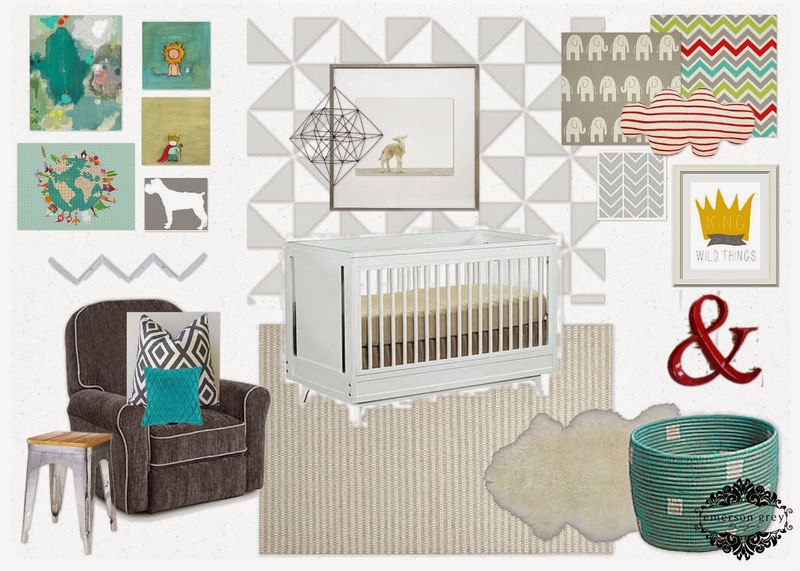 I just adore how this grey and teal nursery came together. 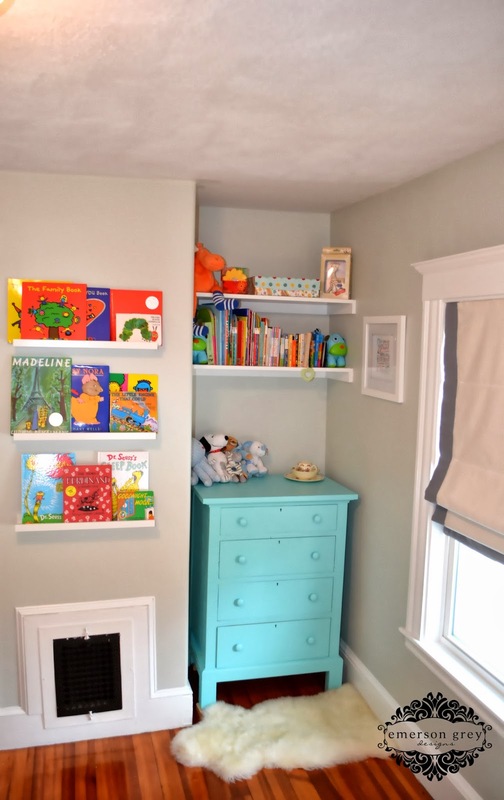 It is light and airy, with such fun pops of colors. 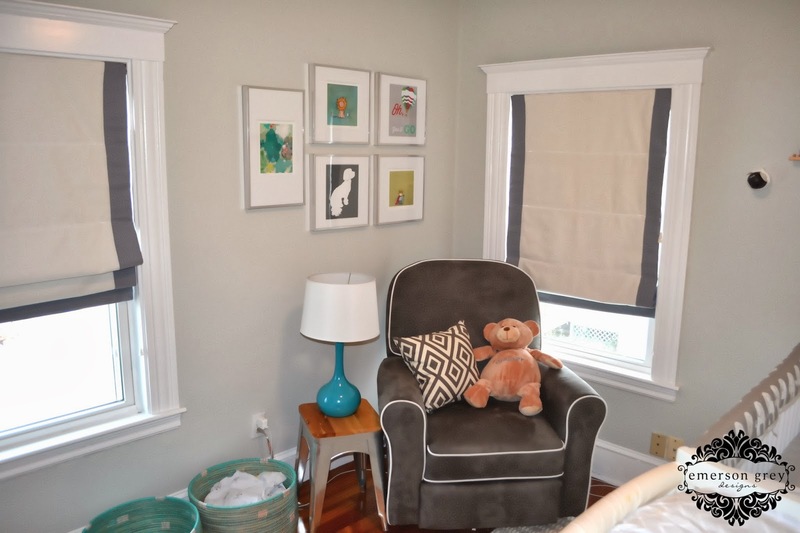 In love with this nursery! What paint colors did you use for the stripes?